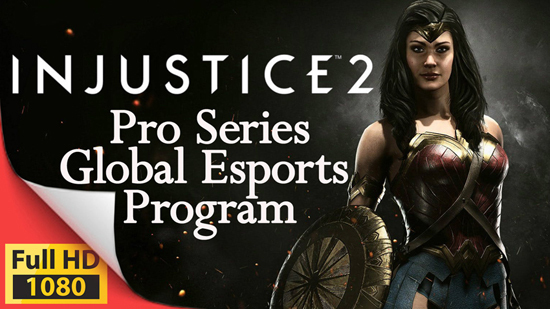 Warner Bros announces Second Season of Global Esports Program 2018 Injustice 2 Pro Series Presented by Samsung and SIMPLE Mobile Amateur and Pro Players Around the World Can Compete to be Crowned World Champion Warner Bros. Interactive Entertainment (WBIE) announced the 2018 Injustice 2 Pro Series Presented by Samsung and SIMPLE Mobile, the second season of the global esports program for NetherRealm Studios award winning Injustice 2. The 2018 series has Intersport, a leader in sports, entertainment and lifestyle based media and marketing platforms, teaming up with Samsung, SIMPLE Mobile, Gamestop, Northern Arena, Gamelta and a to be named European program to offer players of all ranks across the globe a chance to compete in different programs for a slice of the £100,000 prize pool. The best performers from the various programs will have the chance to qualify for the 2018 Injustice 2 Pro Series Grand Finals Presented by Samsung and SIMPLE Mobile taking place this autumn. The 2018 Injustice 2 Pro Series Presented by Samsung and SIMPLE Mobile will feature five live competitions throughout North America and Europe, in addition to three online cups where competitors can earn points to qualify for 12 spots in the Injustice 2 Pro Series Grand Finals. Four spots in the grand finals will be reserved for winners of different programs: Canada’s Northern Arena Injustice 2 Elite Circuit, Latin America’s Liga Latina, a European program with more details to come, and a last chance qualifier spot. This year’s Pro Series will be managed and executed by the esports team at Intersport, a Chicago-based marketing and consulting firm that is teaming up with Samsung and SIMPLE Mobile as the competition’s presenting sponsor. In addition to exhibiting its latest products for the fighting game community to experience first-hand, Samsung will provide exclusive Injustice 2 offers and promotions to customers throughout the Pro Series. For more information, or to sign up for an Injustice 2 Championship Series Presented by Samsung and SIMPLE Mobile, visit http://www.injustice.com/esports. Injustice 2 is the super-powered sequel to the hit game Injustice: Gods Among Us that has been nominated for nearly 50 awards and honoured as Fighting Game of the Year by 13 organisations, including the 21st D.I.C.E. Awards and The Game Awards 2017. Featuring a massive selection of DC Super Heroes and Super-Villains, players can personalise iconic DC characters with unique and powerful gear earned throughout the game. Additionally, for the first time, gamers can take control of how their characters look, fight and develop across a variety of game modes.